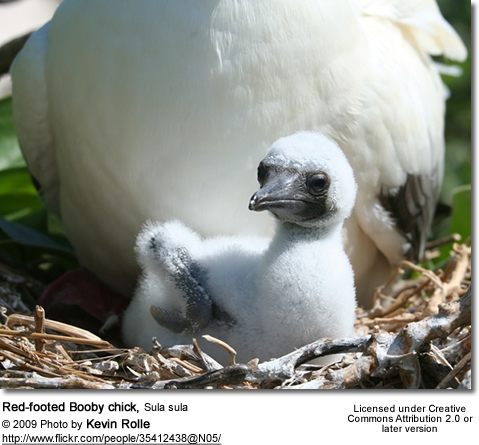 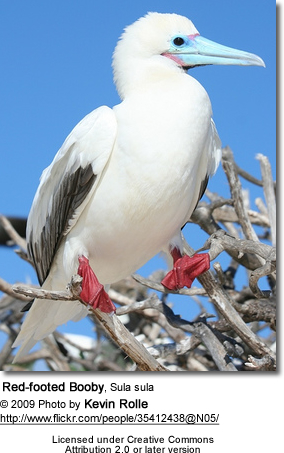 The Red-footed Booby is the smallest of all boobies at 71 cm in length and with a 137 cm wingspan. 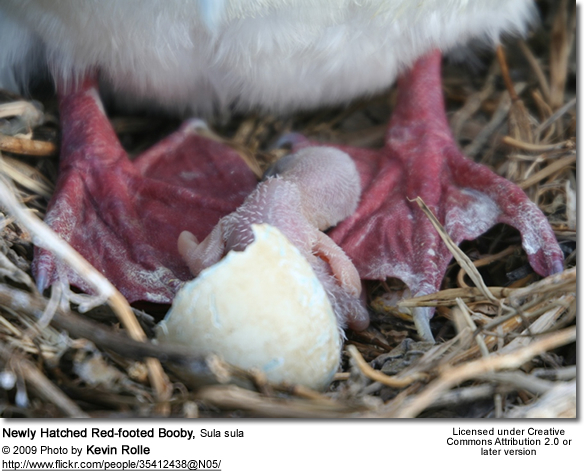 It has red legs, and its bill and throat pouch are colored pink and blue. 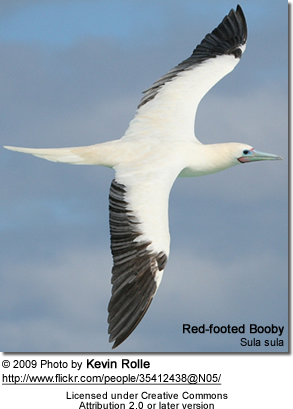 This species has two plumage forms. 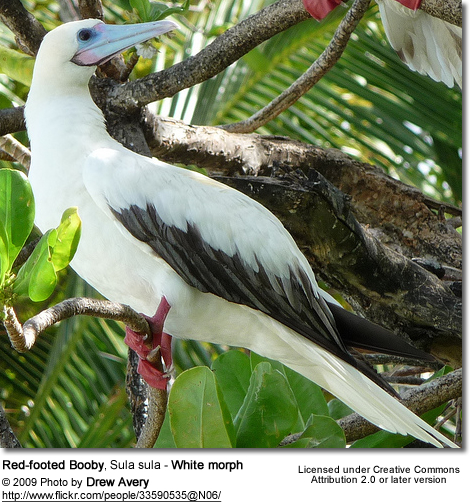 The white phase is mostly white with black on the flight feathers. 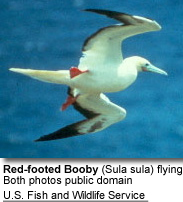 The brown form is brown with a white belly, rump, and tail. 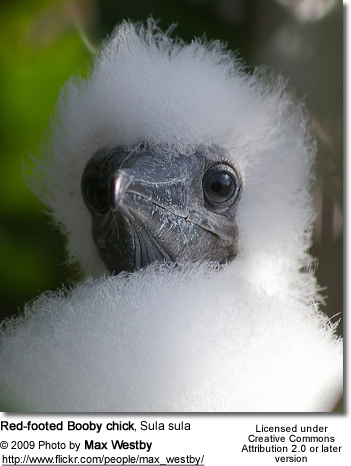 Both forms may occur sympatrically (in the same region), as in the breeding colony on St. Giles Island, Tobago. 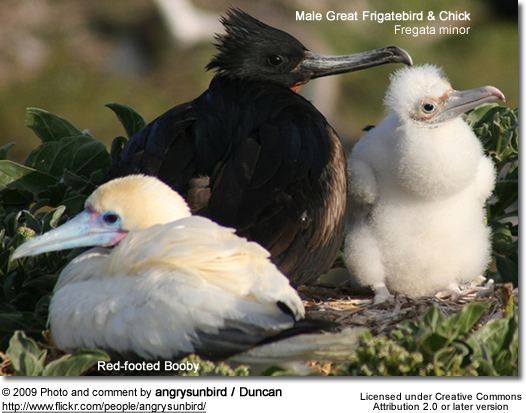 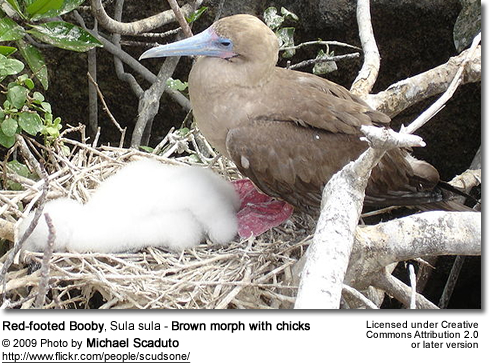 Males and females look alike, and young birds are greyish with browner wings and pink legs. 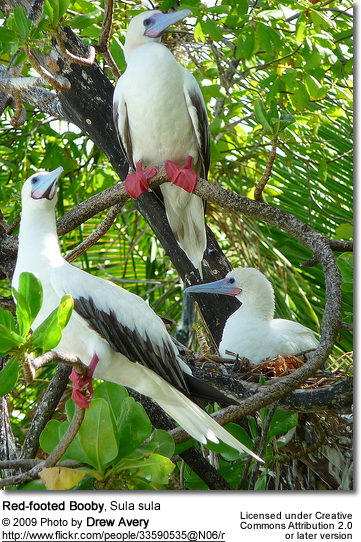 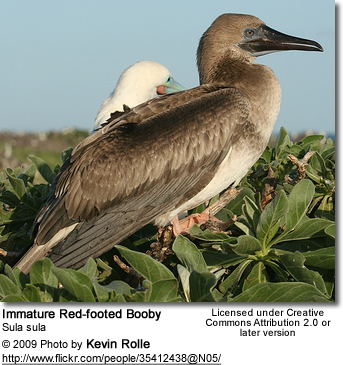 Red-footed Booby pairs may remain together over several seasons. 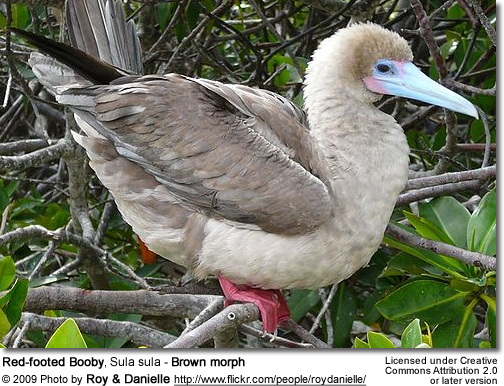 They perform elaborate greeting rituals, including harsh squawks and the male’s display of his blue throat.